"We're Going to See the Beatles! 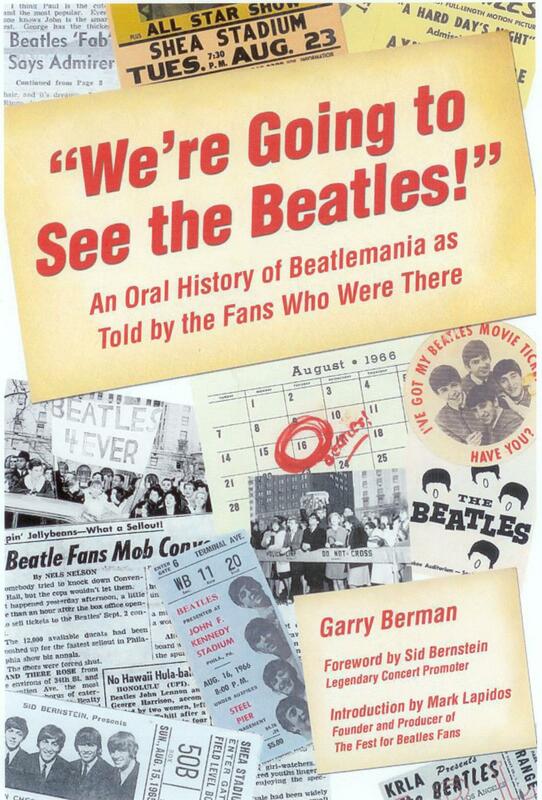 An Oral History of Beatlemania as Told by the Fans Who Were There" was published in April of 2008 by Santa Monica Press. It is the first illustrated oral history of those American teenagers who, in the mid-1960s, attended Beatles concerts, kept scrapbooks, listened endlessly to their transistor radios, and followed the group’s every move as the Beatles changed the world of rock music. It revisits that era via those very fans whom I have found across the country using a variety of means. Their vivid and entertaining personal recollections are carefully and precisely arranged chronologically, according to the events being discussed. The result is a true reconstruction of that exciting era, complete with fascinating personal photos placing the reader right in the middle of Beatlemania, side-by-side with the original fans. Legendary concert promoter Sid Bernstein, who organized the Beatles' Shea Stadium and Carnegie Hall concerts, has contributed the foreword, and Mark Lapidos, creator and producer of The Fest For Beatles Fans, also shares his memories as a young fan. "We're Going to See the Beatles! ", as it documents a unique period in the lives of this generation, benefits from the participants’ hindsight and life experience as they re-create—with considerable humor, and even passion—what it was like to have their young lives turned upside down by the biggest rock group of all time.